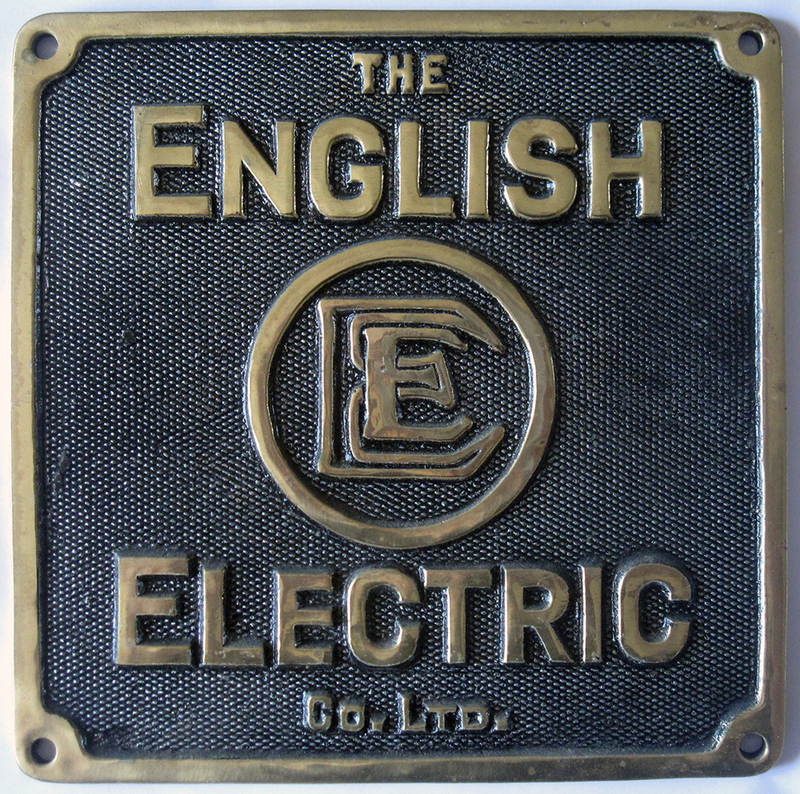 English Electric Makers Plate. The English Electric Co Ltd. Origin Unknown. Measures 6 in X 6 in. Attractive Item.